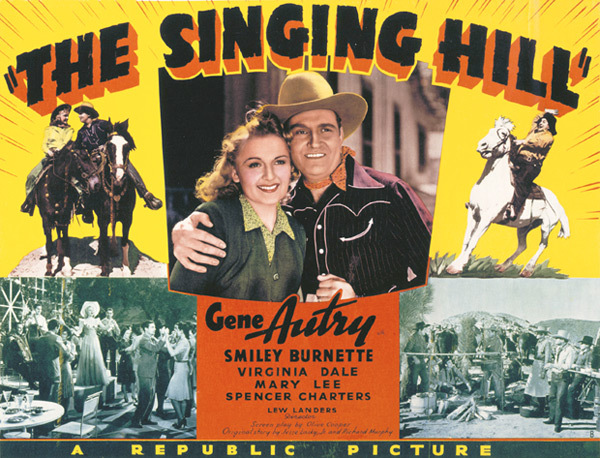 Foreman Gene Autry, head of the Cattlemen's association, is determined to prevent the Circle R Ranch's spoiled society girl owner, Jo Adams, from selling the property to John Ramsey. The ranch's vast grazing lands have been free range for all the neighborhood ranchers and Ramsey will close the land to the ranchers. In order to get an audience with Jo, Gene, Frog Millhouse, and the orphaned Patsy masquerade as musicians to play at one of Jo's lavish parties. Gene discloses that he is the foreman and pleads with her to reconsider her plan to sell the ranch. Jo angrily refuses. She soon reveals that she has already spent the $25,000 down payment to pay off her debts. Gene, with the help of his old friend Judge Starrbottle, has Jo declared incompetent and Gene appointed guardian of her affairs, much to Jo's great indignation. Gene and the cattlemen pool their herds to raise the money to repay Ramsey. Ramsey's henchmen crash a truck into a dam, flooding the canyon where the herds are bedded down for the night on their way to the railroad station. 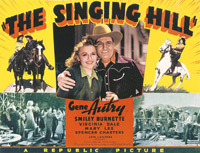 All of the cattle are either stampeded or drowned, and Gene and his friends regretfully depart the Circle R. Jo, touched by the ranchers' loss, is ashamed that her own selfishness is the cause of them losing their homes and determines to right her wrong and prevent the sale from going through. Ramsey is brought to justice, and happy days return to the valley.